It has been announced that Canadian firm Bombardier has been selected as the preferred supplier of trams. They are expected to build 21 trams costing about £1.75 million each, with an option to supply 23 more for Line Two. 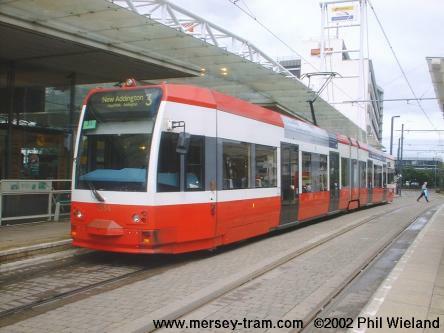 There are currently two tram systems in the UK using Bombardier trams, in Croydon and Nottingham. Here is one of Croydon's fleet of 24 Bombardier FLEXITY Swift trams. This is one of the fifteen Bombardier INCENTRO trams operating in Nottingham. 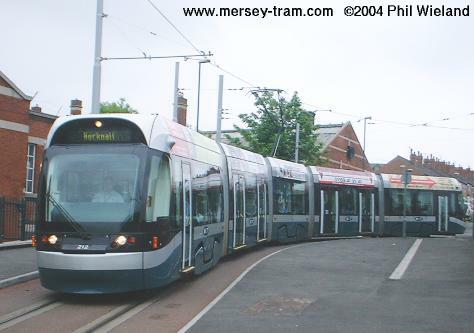 The livery of Merseytram's vehicles will be Merseytravel's yellow and grey, it has been announced.